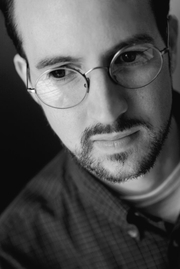 KEVIN BROCKMEIER is the author of five novels for adults and two children's novels. His stories have appeared in The New Yorker, Tin House, McSweeney's, The Oxford American, The Best American Short Stories, O. Henry Prize Stories and Granta's Best of Young American Novelists, among other publications. He has taught at the Iowa Writer's Workshop. Old St. Pat's Book Group meets at 7pm to discuss The Illumination by Kevin Brockmeier. Get to know your booksellers through their favorite books! Join us the 3rd Monday of April at 6:30 for Lisa's pick for the Staff Favorites Book Club. We will discuss The Illumination by Kevin Brockmeier. Coffee, espresso drinks, beer, and wine can be purchased from Nightbird Books. Nomad's Natural Plate will be serving food. What if our pain was the most beautiful thing about us?" At 8:17 on a Friday night, The Illumination begins. Every wound begins to shine, every bruise to glow and shimmer. And in the aftermath of a fatal car accident, a journal of love notes, written by a husband to his wife, passes into the keeping of Carol Ann Page, and from there through the hands of five other people--a photojournalist, a schoolchild, a missionary, a writer, and a street vendor. As their stories unfold, we come to understand how intricately and brilliantly they are connected, in all their human injury and experience. With the artistry and imagination that have become his trademark, Kevin Brockmeier reveals a world that only he could imagine, casting his gaze on the wounds we bear and the light that radiates from us all. Named a Best Book of the Year by NPR, The Seattle Times, The Kansas City Star, and Philadelphia City Paper. Kevin Brockmeier, The Brief History of the Dead. Kevin Brockmeier is currently considered a "single author." If one or more works are by a distinct, homonymous authors, go ahead and split the author. Kevin Brockmeier is composed of 4 names. You can examine and separate out names.